It’s a quiet Monday in the Hawks Championship Center in Lincoln, Nebraska. The football team has its weekly day off so the usual hubbub is missing. Yet, senior linebacker Josh Banderas is there, working. He could be anywhere else. It’s his day to relax after all, but Banderas has a goal. He wants to play in the NFL. As a linebacker, Banderas hopes to get the attention of a professional team. He knows it wouldn’t hurt to make himself more “marketable” though, as he calls it. That’s why former Nebraska long snapper Gabe Miller is there with Banderas, running through long snapping drills at the Huskers’ indoor practice field. Banderas adjusts. He’s slowly going through the motions of long snapping. Miller notes that Banderas hasn’t been stretching much lately. He can tell. That’s why he teaches. “Plus, he’s really good at it,” Banderas said. Miller has been long snapping since he was in third grade. He didn’t really know what he was doing until the eighth or ninth grade, but it’s something he’s always done. “My dad played college football and I think he recognized that it would be a good position for me,” Miller said. Miller was Nebraska’s long snapper until a back injury sidelined him and ultimately ended his career. When he realized he wouldn’t play again, he turned it into an opportunity to teach others. Long snapping had been on Banderas’ mind before he called Miller. Former Nebraska coaches had suggested he give it a try. Former Husker linebacker Barrett Ruud suggested the same if the NFL was truly a goal of his. That ticket to the NFL won’t come easy though. Banderas knows that, which is why he’s been working with Miller for nearly two years to perfect his long snapping craft. So with Millers’ help, he’s been doing just that. Over the last two years, Banderas has learned just how difficult long snapping can be. Banderas doesn’t want to make those mistakes. He wants to be a reliable long snapper that any NFL team can count on. He still has plenty to work on but according to Miller, he’s already come a long way. What about goals? Miller would like to see Banderas snap nine-out-of-10 balls right to the punter’s body. If he can do that by Nebraska’s Pro Day (or the NFL Combine), Banderas will be in good shape. 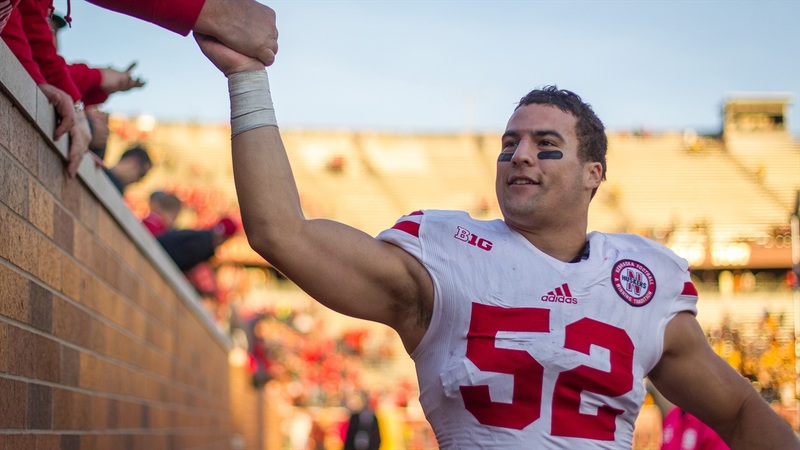 With Nebraska’s Pro Day more than five months away, Banderas will keep working with Miller. That may mean giving up an hour or two on a day off or some time after practice, but he doesn’t mind. “As long as I can contribute, I’ll be happy to do it,” Banderas said.